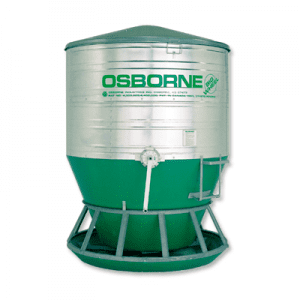 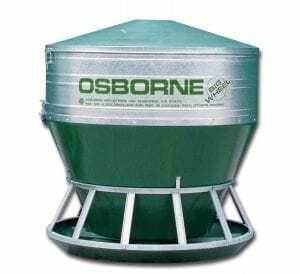 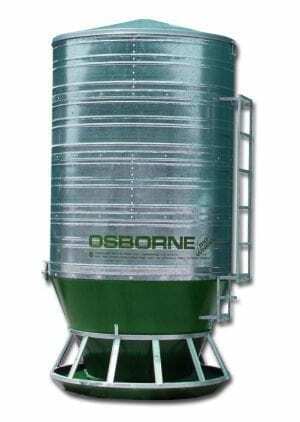 The Osborne RO25 Big Wheel Bulk Feeder provides fresh feed on demand for growing pigs in outdoor lots or hoop-building production. 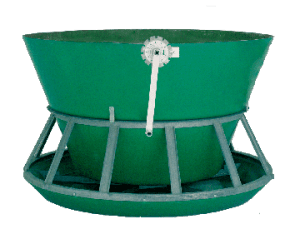 Big Wheel Feeders are manufactured with Osborne engineered, reinforced RTM-Glas™ fiberglass hoppers and troughs, and all lower metal parts are hot-dipped galvanized to help slow corrosion. 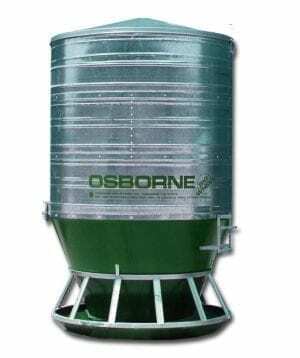 The RO25 Feeder does not require a lid or expansion rings.